A pair of beloved Broadway vets have signed on for Ryan Murphy's highly anticipated series The Politician. 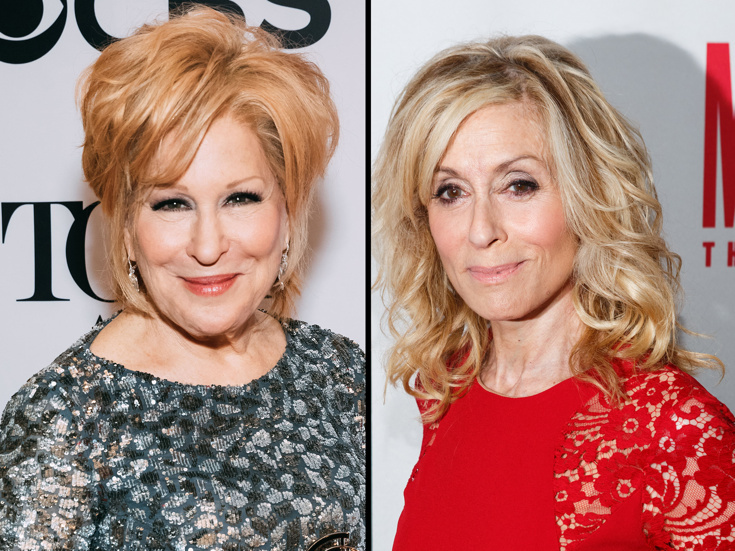 Tony winner Bette Midler and two-time Tony winner Judith Light have joined the cast of the Netflix series, according to Deadline. A September 27 premiere date was recently announced. Midler's small-screen credits include three Emmy wins for Bette Midler: Ol' Red Hair Is Back, The Tonight Show Starring Johnny Carson and Bette Midler in Concert: Diva Las Vegas. She was Oscar-nominated for The Rose and For the Boys. Midler earned a Tony for her turn in the title role of Hello, Dolly! Light's television work includes Emmy-nominated turns on Ugly Betty, Transparent and Murphy's American Crime Story: The Assassination of Gianni Versace. She won Daytime Emmy Awards for One Life to Live and was celebrated for her turn on TV's Who's the Boss? Light won Tonys for Other Desert Cities and The Assembled Parties. Midler and Light join a cast led by Tony winners Ben Platt and Jessica Lange, with Laura Dreyfuss, Gwyneth Paltrow, Zoey Deutch, Lucy Boynton, Bob Balaban, David Corenswet, Julia Schlaepfer, Theo Germaine, Rahne Jones and Benjamin Barrett.